It is a powerful insecticide for controlling biting as well as sucking of insects. Versatile insecticide and termicide for agricultural and house hold pests. Terminator combines rapid initial action with a good long lasting residual effect. Triple action through contact, stomach and fumigation. 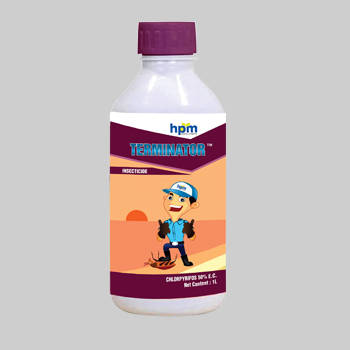 Good soil application insecticide to control soil insects like termites, white grubs, and root grubs etc. HPM India is one of the best Chloropyriphos 50% EC manufacturers in India, Contact us now. 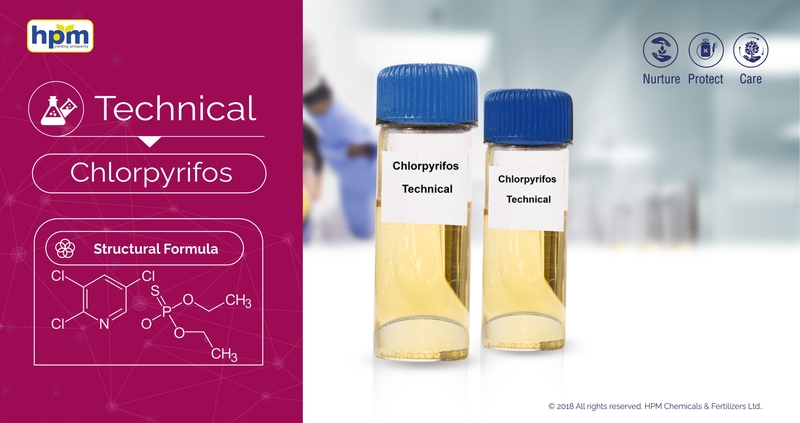 Chlorpyriphos is used around the world to control insects in agricultural, residential and commercial settings it is cholinesterase inhibitor. Versatile insecticide and termiticide for agricultural and house hold pests. combines rapid initial action with a good long lasting residual effect. Crystalline solid, white to pale yellow.